Eureka Springs AR is a city in Carroll County, Arkansas. Along with Berryville, it is one of the two county seats for the county. It is located in the Ozark Mountains of Northwest Arkansas. 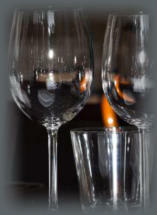 As of the 2010 Census, the city population was 2,073. The entire city is on the National Registry of Historic Places as the Eureka Springs AR Historic District, and a popular tourist destination. Eureka Springs Arkansas is a unique Victorian resort village. The city has steep winding streets filled with Victorian-style cottages and manors. The old commercial section of the city has an alpine character, with an extensive streetscape of well-preserved Victorian buildings. The buildings are primarily constructed of local stone and lie along streets that curve around the hills and rise and fall with the topography in a five-mile long loop. Some buildings have street-level entrances on more than one floor. Eureka Springs has been selected as one of America's Distinctive Destinations by the National Trust for Historic Preservation. Eureka Springs has historically been called The Little Switzerland of America and The Stairstep Town because of its mountainous terrain and the winding, up-and-down paths of its streets and walkways. The streets wind around the town, and no two intersect; there are no traffic lights. 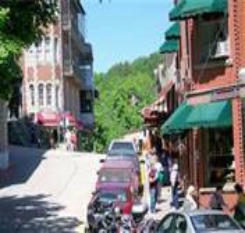 Eureka Springs is well known for its art, shopping, hotels, restaurants and attractions. Eureka Springs Historic District is a historic district that was listed on the National Register of Historic Places in 1970. 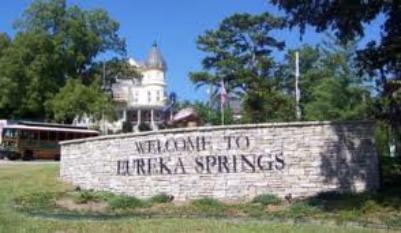 It includes most of Eureka Springs AR, which dates from 1880. It was increased in 1979 to include the 1913-built Eureka Springs Railroad Depot on S. Main.